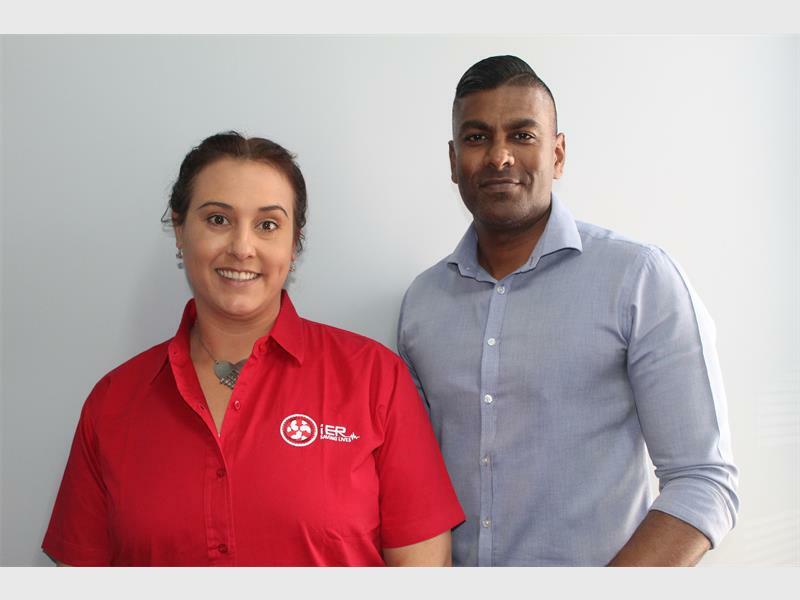 IER manager Monique Delport and Affinity Health marketing manager Vinay Pillay. The Integrated Emergency Response (IER) application, developed under Affinity Health, was launched in 2016 and is making significant strides in the world of emergency services. According to Monique Delport, IER manager, the app that is used on smart devices is great for community safety and encourages more public participation. Features available on the app vary from animal welfare to reporting criminal acts, requesting plumbing services as well as an “I’m being bullied” feature that provides assistance to individuals who are bullied. Affinity Health marketing manager Vinay Pillay confirmed that at present over 30 000 individuals across SA are active users of the app with over 90 000 individuals having accessed the platform since the launch. According to the pair the app has a five second turnaround time-frame from when the alert is sent to the time that their response agents will contact the user for any situation South Africans may regard as distressing. Delport explained that once an incident is reported, her call center of response agents will decide on the service required and make contact with the necessary authorities. “The app is suitable for all members of the community,” said Delport. “Response agents are available 24/7 to assist with emergencies. “The head office is located here at Affinity Health in Benoni but our app is available nationwide. “We’ve built a network of providers around the country and are able to assist in dispatching the most appropriate service that is required, depending on the nature of the incident reported,” said Pillay. Other services available on the app include ambulance service, roadside assistance, locksmiths, municipal services, search and rescue services to armed response, animal welfare and electricians. Delport noted that the app is free to use and is free to download from the Google Play Store as well as well as the Apple App Store. “The app connects the user to our 24 hour call centre who in turn connect them to thousands of medical and non-medical services to assist with their incident. “We have a broad network infrastructure. “There are instant alerts that reach the call centre as soon as the incident is reported and, provided the location services on the user’s smartphone is switched on, we are able to locate their GPS coordinates,” said Delport. Article extracted from Benoni City Times.